Riley Rossmo was at the laundromat, and bored out of his skull. This was back when Rossmo was eleven -- years before getting launched into the comics industry and practically a lifetime before garnering critical acclaim for his artistic work on titles such as Green Wake, Proof, and Dia De Los Muertos. As far as anyone in that laundromat was concerned Rossmo was just another anonymous kid living in Saskatoon, Saskatchewan, running an errand with his dad. And as far as Rossmo was concerned, the laundry was taking too long. Rossmo’s father couldn’t make the chore go faster, but he had an idea on how to make the time slip by. He walked out of the laundromat, wandered into the comic shop next door and picked-up a book which he figured would make a nice impromptu gift for his son. And this is how Rossmo discovered the iconic Claremont / Miller Wolverine mini-series. “I fell in love with a few of the images,” Rossmo says. “In particular where the Hand is firing a cloud of arrows up at Wolverine and Yukio.” While most kids might have simply used the discovery of Wolverine as a gateway into the deeper comic universe, Riley used it as a teaching tool. He took a random gift and turned into a text book, eventually spending hours of childhood laying on the floor of his dad’s living room with a pad of paper and a pen, trying to reproduce the Wolverine panels he loved best. Decades later and Rossmo still spends hours drawing, although now he has an audience that grows with every new project he takes on. While he certainly has a signature style which is expressive and emotive, his artistic range is considerable -- and one he got to show off during his recent Dia De Los Muertos project which he just wrapped up last spring. In it, he shifted his style to match each of the mini-narratives that composed the book, shifting from washed-out lines that helped him tell a better ghost story, to full-blown comic style that matched a fantastical tale reminiscent of ‘60s pop. Currently, Rossmo is getting ready to launch a new title, Drumheller, which will be released by Image comics on November 6. The series will focus on a paranormal detective who gets pulled into the supernatural drama of a rural town. But he took a break from this project, to answer some questions for The Longbox Project. LBP: I’d love to know what comics you read when you were growing up, specifically any titles that you felt passionate about. The first comic I really collected was G.I. Joe by Larry Hama. From there I got into New Mutants by Chris Claremont and Bill Sienkiewicz, and then Uncanny X-Men also by Chris Claremont, and John Byrne. There were some others I was into: the late ‘70s Tomb of Dracula and the early ‘80s Spider-Man. I got most of my comics from quarter bins until I was 15 or so. The only thing I bought new for a long time was G.I. Joe and Marc Silvestri and Jim Lee’s X-Men. LBP: Reflecting on your journey as an artist, who were some of the illustrators you first noticed and began following? The first artist I noticed and was fascinated by was Bill Sienkiewicz. 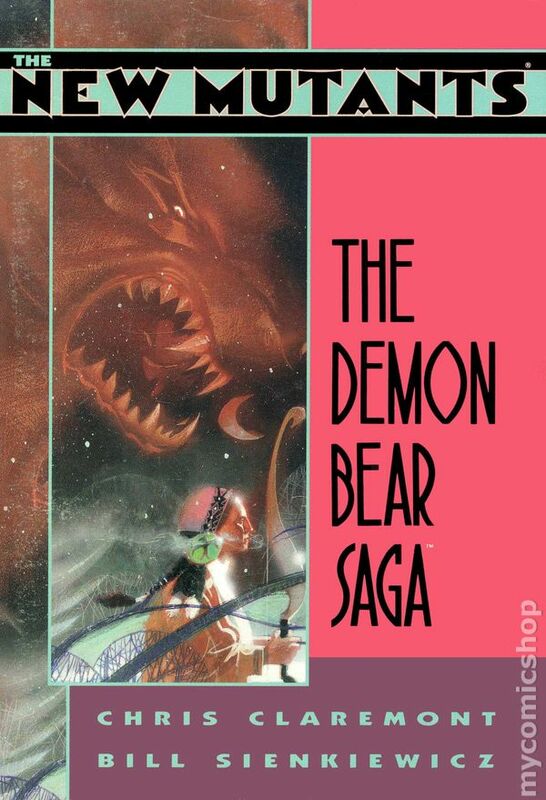 I couldn't figure out how he’d go from an amazing painted cover to a kinetic and seemingly uncontrolled page for the Demon Bear Saga. When I was 11 I started to notice Frank Miller's use of graphic shapes. Once in a while I'd get a Savage Sword of Conan. I was big into John Buscema because of his work on Conan, and the ongoing Wolverine. LBP: I know you worked at a comic shop for a while -- a job which often gives geeks access to more titles than might have read otherwise. I’m curious if you think this experience shaped your artistic work, or career choices in any way. It was a huge influence. The manager would recommend me stuff nearly every day. After working there for a while I'd just scour back issue bins for examples of old art. Mostly I learned about storytelling. Alex Toth, Jim Steranko, and José Luis García-López were my big influences. While at the comic book store I discovered artists that didn’t have massive bodies of work, but had a huge influence on other artists of that time. LBP: Judging from your work on Proof and Green Wake, it’s safe to say you have an interest in stories that deal with the paranormal. In an industry obsessed with superhero fare, have you encountered many challenges in launching titles such as these? The market seems to have more space for non-superhero books than it did before. 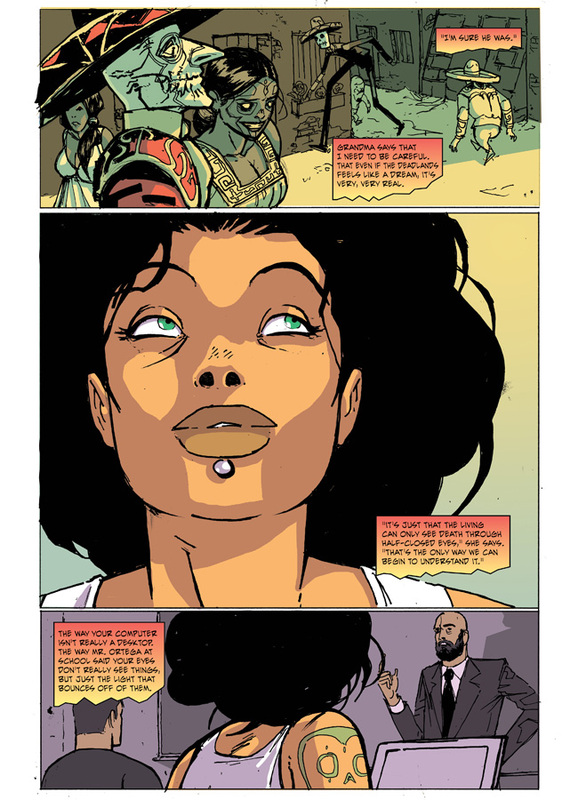 Creator-owned books are always a challenge; there isn't an editor asking for pages on a daily basis and there isn't a ton of infrastructure for creator-owned books, but the freedom is worth it. I think with the success of The Walking Dead books from Image have made a little more room for non-superhero books to get off the ground than there was 8 or 9 years ago. LBP: Dia de los Muertos impressed many, especially its execution -- your decision to adapt your style to fit each story not only demonstrated your range, but honored the uniqueness of each writer’s tale. How did the idea for this run and its execution come about? And have you received any feedback from the Latino community about your approach to this sacred cultural holiday? I've been fascinated by Dia De Los Muertos for some time now. I'd been doing some illustrations around it for a few months when Jim Valentino asked if I had any ideas for projects. From there it kind of just happened. I have some latin-american friends that helped; I visited Mexico, and I tried to be as respectful and faithful to the holiday as possible. The feedback has been great. 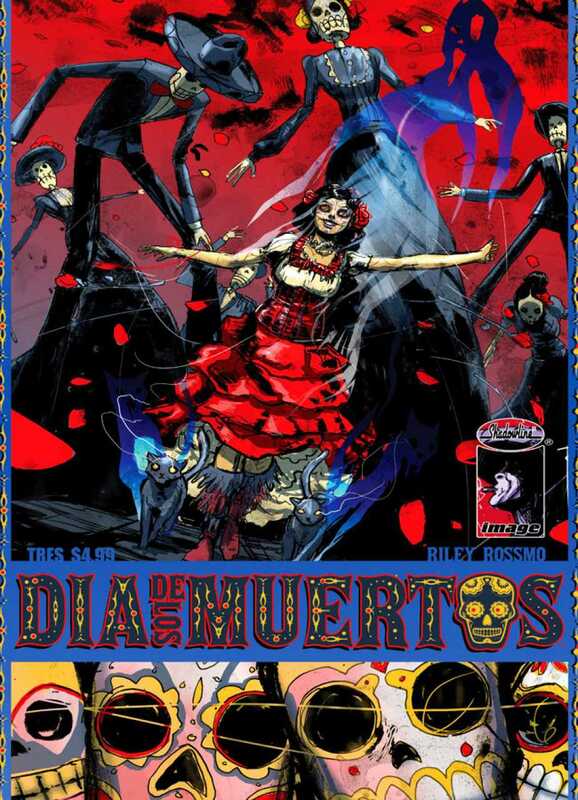 I'd like to do more stories around Dia De Lost Muertos eventually, and maybe something longer in length. LBP: This question might seem out of left field, but I’m curious -- I know you’ve got tattoos and I can only imagine that a comic book artist would be uber-particular about the art he puts on his body. Did you design your own tattoos, or pull them from somewhere else? I have a mix. Some are panels from my books, some are things that are reminders of things that are important to me. To be honest, I'm not as particular as you might think about the execution of tattoos. Its more the content that I'm interested in. I like seeing people with older tattoos with diffused lines. Wolverine: by Chris Claremont and Frank Miller. I still have the collection from when I was 11 or so. 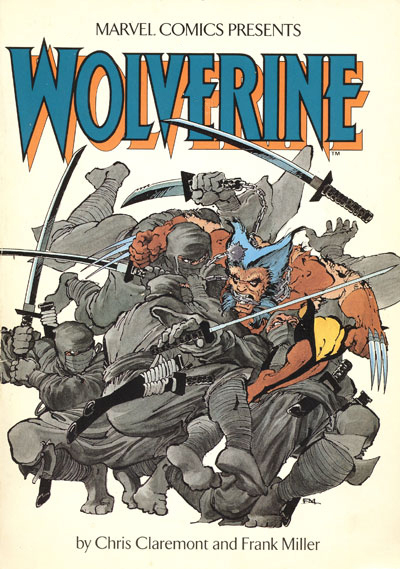 It has a amazing cover of Wolverine fighting five or six ninjas; cover by Miller and Varley. Tales of G.I. Joe #3: "The Trojan Gambit!" 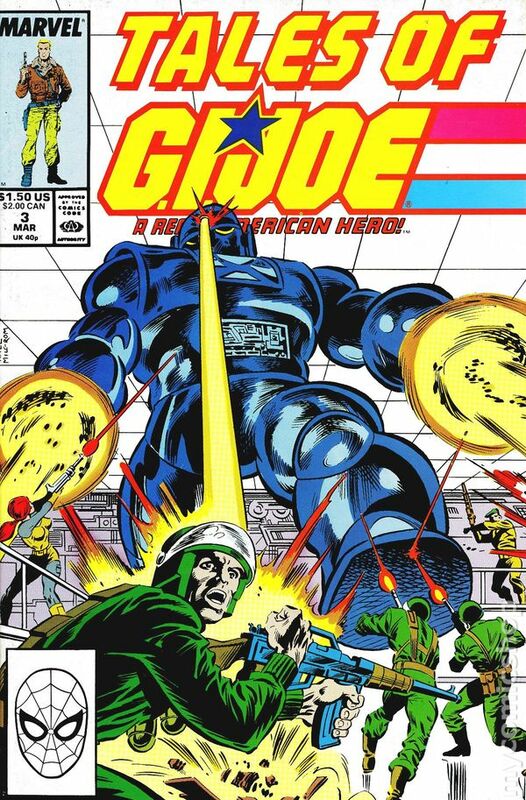 Written by Larry Hama; illustrated by Herb Trimpe and Jack Abel. This is the first comic I remember in detail having as my own. Classic X-Men #4: "Night of the Demon!" Written by Chris Claremont; illustrated by Dave Cockrum. I traded some kind of DC comic for this issue (Batman or something) to a kid on my street who’d stolen it from his older brother. I loved the cover and on how weird the issue was; Cyclops was in a state of anguish over Thunderbird’s death and blows up an ancient portal to another universe which unleashes demonic hordes on the X-Men. Plus, the John Bolton Back ups were beautiful.